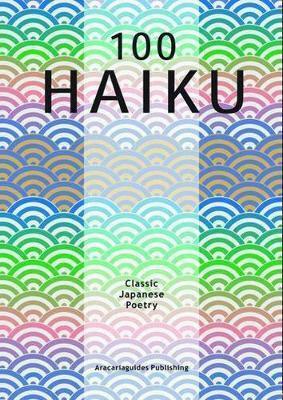 Haiku is a form of Japanese poetry traditionally invoking an aspect of nature or the seasons. In contrast to English verse typically characterised by meter, haiku verse counts sound units (moras), known as on. Traditional haiku consist of 17 on, in three phrases of 5, 7, and 5 on respectively. One on is counted for a short syllable, an additional one for an elongated vowel, diphthong, or doubled consonant, and one more for an ‘n’ at the end of a syllable. A haiku traditionally contains a kigo, a defined word or phrase that symbolises or implies the season of the poem. In Japanese haiku a kireji, or cutting word, usually appears at the end of one of the verse's three phrases. Depending on which cutting word is chosen, and its position within the verse, it may briefly cut the stream of thought, suggesting a parallel between the preceding and following phrases, or it may provide a dignified ending, concluding the verse with a heightened sense of closure. The fundamental aesthetic quality of haiku is that it is internally sufficient, independent of context, and will bear consideration as a complete work. In English, since kireji have no direct equivalent, poets sometimes use punctuation such as a dash or ellipsis, or an implied break to create a juxtaposition intended to prompt the reader to reflect on the relationship between the two parts. This Guide comes in full colour and brings enjoyment and inspiration.